Last week's party was chock full of inspiration (as usual)...let's start with the Fan Favorite. The Fan Favorite for last week was Liz Marie who shared how to make homemade chalk paint. 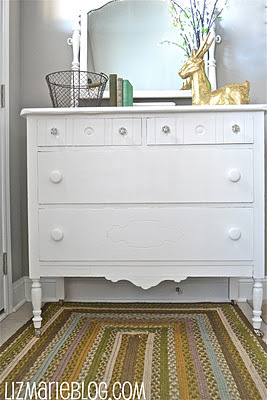 With chalk paint taking the DIY world by storm, this is definitely a post worth checking out. 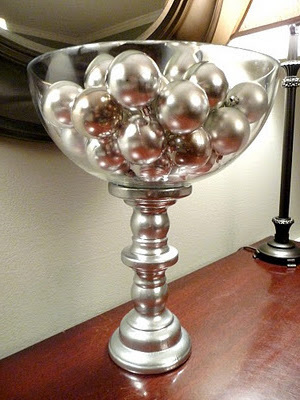 First, I loved this DIY Pedestal Bowl from My Covered Bridge. Such a great idea! 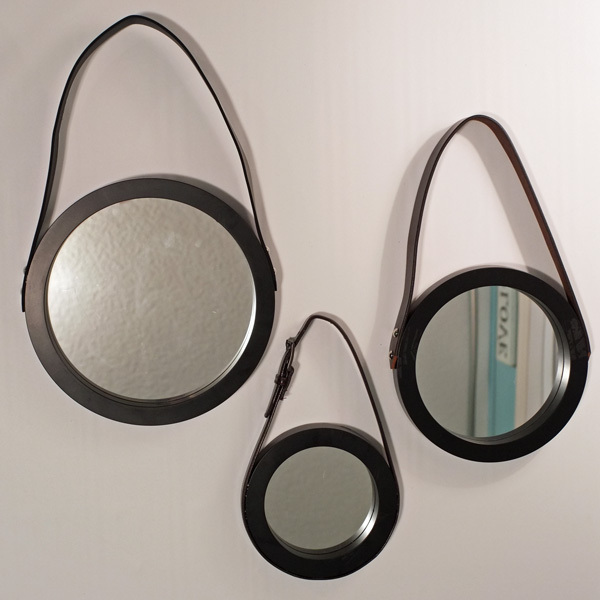 Teal & Lime shared her DIY Captains Mirrors. I'm bookmarking this one. Love them. Design Fluff created a fab no-sew West Elm Origami Pillow knock-off. Yes, I did say "no-sew"! Wow that just made my night! I am so happy that my Homemade chalk paint was the fan favorite :) I hope you are having a great week & have a great weekend! Thank you so much for featuring my Captains Mirrors. It was a lovely surprise. I just spent the last hour hanging them up in their new home and I am in love with them. I will be sharing the finished mirror gallery tomorrow. Thank you SO much for featuring my pedestal bowl! What a great surprise! 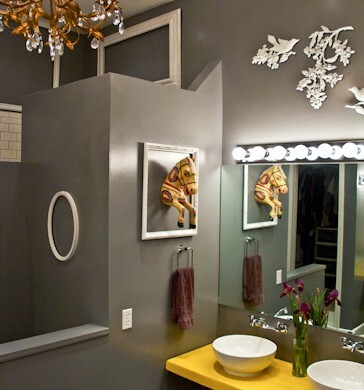 I am SO down with that gray and yellow bathroom! Wowzadoodle! So many awesome link ups to distract me from laundry! Lots of inspirational ideas...first time attending your link party...thanks for hosting! Thank you for hosting. I am so sorry that my link appeared 3 times. Not sure how I delete two...?? Thank you for hosting the party! I'm enjoying going through the posts and picking my favorites. I appreciate the opportunity to share my project, too! Thank you so much for featuring my Master Bath ReDone! I really appreciate it! Yeah! Have a great weekend! Wow! So much inspiration in the party today! I linked up my ceiling medallion wall art #392. Thanks so much for hosting! This is my first visit to your site and it is amazing...so much creativity! I shared a Pennsylvania Dutch turkey stuffing recipe, a Lithuanian blynai recipe, and a California roll recipe today. Thank you for hosting us and have a great week! Thank you so much for hosting, Wendy! It was so wonderful to read about your Country Living award this week--congratulations!! What a great honor! I am very happy for you. Love that Master Bath makeover. Grey walls and the horse! So fun.